Inside: Christmas science decorations — say whaaaat? Who says there is no science in Christmas? Which ideas will you try out with your students or kids? Christmas science decorations — say whaaaat? Who says there is no science in Christmas? Only the grinch, that’s who! 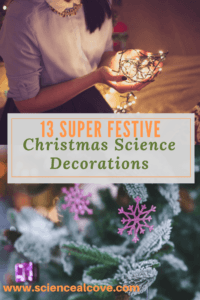 What better way to get your science kids invested in the holiday season than by decorating your classroom with science-themed Christmas decor. But what science, you say, is Christmas related? Well, your imagination and sense of fun will lead to many festive ideas. 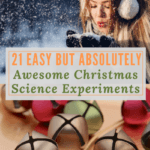 Perhaps your kids can pore through their lessons and come up with some Christmas science ideas. Turn the periodic table into a door-decoration chemstree. Or create a standing chemistree with beakers or potions. Borax snowflakes or glass balls filled with almost any science thing small enough to fit inside make fabulous Christmas ornaments. Use chromatography to create ornaments from paper. For some more dramatic ‘chromatographic’ ornaments use sharpies and alcohol. How about creating atom ornaments. With pipe cleaners, beads and your periodic table you have hundreds of atoms to choose from to create ornaments. 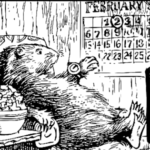 Make a one or a dozen! Light strings make great electron door decorations. Add some light filled Christmas cards or element cards to accentuate the electron theme. Door decorations are so much fun. The chemistree is only one idea. Give your doorway an out of this world snowman theme. Or if that doesn’t knock your socks off, how about a DNA 12 days of Christmas theme or perhaps a recycled Christmas doorway? As you can see, the ideas are quite endless. 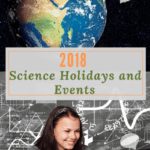 High school teachers, create a Christmas science decorations contest. Who can create the most dramatic or creative Christmas science doorway? Elementary teachers, have your kids create science Christmas decorations to take home as gifts. Science-themed ornaments and cards would make perfect gifts to take home after being displayed in the classroom. 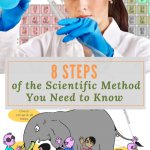 First and foremost, be creative, have fun and make it a science learning experience!